Well Go USA Entertainment announced its acquisition of North American rights for Don Coscarelli's legendary Phantasm series, including an all-new 4K restoration of the original 1979 cult classic Phantasm: Remastered, never-before-seen HD restorations of 1994's Phantasm III: Lord of the Dead and 1998's Phantasm IV: Oblivion, and the long-anticipated debut of the fifth and final film in the series, 2016's Phantasm: Ravager. On October 7th, for the first time ever, the Phantasm series will be available in remastered, high-definition versions across all cable and digital platforms. A Blu-ray and DVD Collector's Edition Set of the Phantasm series will follow later this year, along with individual Blu-rays and DVDs of Phantasm: Remastered and Phantasm: Ravager, all of which will be packed with special bonus features. Phantasm: Remastered and Phantasm: Ravager will hit theaters as well. Phantasm: Remastered will screen across the county as part of the inaugural Art House Theater Day on September 24, 2016, and Phantasm: Ravager will be released in select theaters on October 7th, day and date with its digital HD release. In addition, fans across the country will have the ability to bring both films to their hometowns using Tugg, an innovative platform that empowers individuals and groups to host screenings in their local theaters and community venues. Phantasm: Remastered came into being when filmmaker J.J. Abrams, a fan of the original, wanted to screen the film for his team at Bad Robot Productions- only to find the available prints in terrible shape. Working on the premises of Bad Robot with their expert staff, director Don Coscarelli was invited by J.J. to supervise a meticulous 4K digital remaster using their state-of-the-art tools. This included a brand-new 5.1 audio mix using the original stems, ensuring Phantasm will forever be available to scare the hell out of generations to come with perfect picture and sound. Phantasm: Ravager is an all-new film that brings one of cinema's longest-running franchises (36 years!) without a reboot to a close, with Mike (A. Michael Baldwin) and Reggie (Reggie Banister) teaming up to confront the dimension-hopping Tall Man (Angus Scrimm, in his final role) once and for all. Said Dylan Marchetti, SVP of Well Go USA Entertainment. "The Phantasm films are iconic, and Well Go is ecstatic to have them. 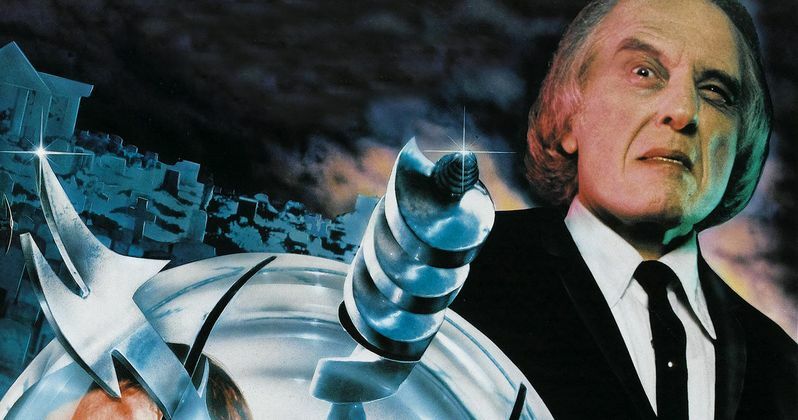 We get to bring a classic to a whole new audience with Phantasm: Remastered, and with Phantasm: Ravager we get to bring the die-hard fans - of which I am one - the closure they've been waiting for. This is the kind of deal that every distributor dreams of doing, and when you get to do it with a true independent like Don, well, that's just the extra cherry on the sundae." Said Phantasm creator Don Coscarelli. "I'm thrilled to be working with Well Go USA and their talented and dedicated team. I am excited by their innovative new ideas and intense drive to bring the Phantasm franchise to a new generation of fans." Phantasm: Remastered, Phantasm III: Lord of the Dead, and Phantasm IV: Oblivion were written and directed by Don Coscarelli. Phantasm: Ravager was written by Coscarelli and David Hartman, executive produced by Brad Baruh, and directed by Hartman. All films star Angus Scrimm, Reggie Bannister, and A. Michael Baldwin.